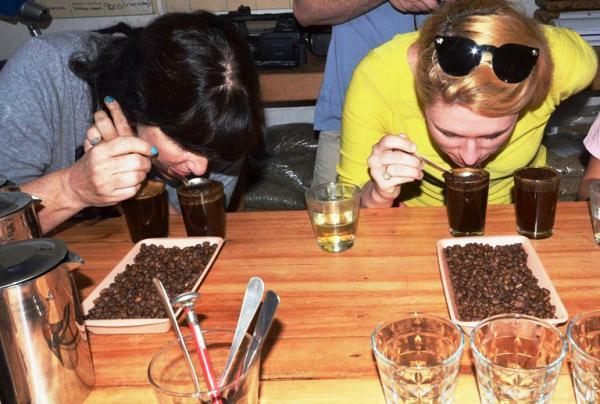 Begin your journey sampling the flavors from the tropical valleys of the Coffee Triangle, and continue to the snow peaked volcanoes in Los Nevados National Park. In mountainous Tamesis, explore high altitude ecosystems and follow stone paths built by ancient cultures that once called this region home. 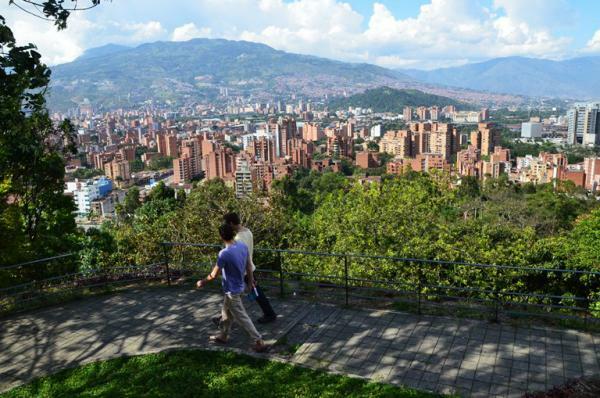 Finish your trip in trendy Medellin. 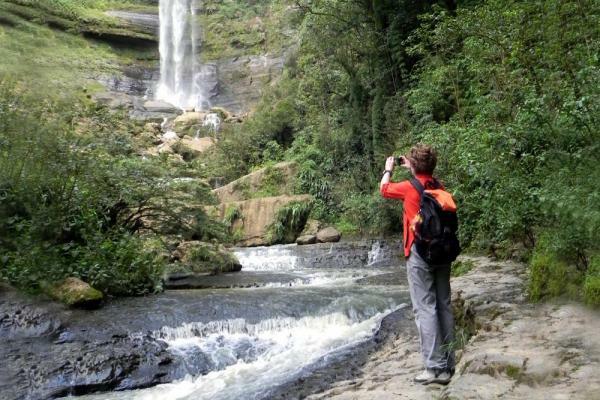 A great Colombia tour that balances cultural and natural discovery in the Central Andes. The day begins in Otun Quimbaya Flora and Fauna Sanctuary - a 489 hectare cloud forest filled with hundreds of species of birds, butterflies and small mammals. Hike through trails lined with old growth forest, orchids, bromeliads and ferns. Following your cloud forest hike, continue on towards Manizales and the foothills of Los Nevados, home to Central Cordillera’s highest peaks. This region is home to many unique high altitude species of birds and plants including thousands of conspicuous Speletia or Frailejon. Enjoy views of the endemic Paramo (alpine tundra) ecosystem, cloud forest and classic Colombian farmland. 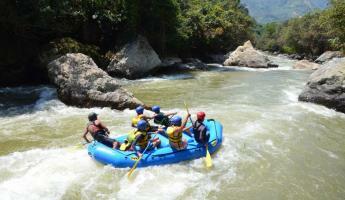 Tonight, relax in the town of La Pintada, situated along the Rio Cauca. 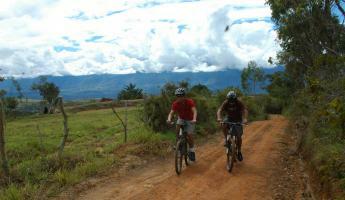 Continue the journey north along the fertile Cauca River Valley. 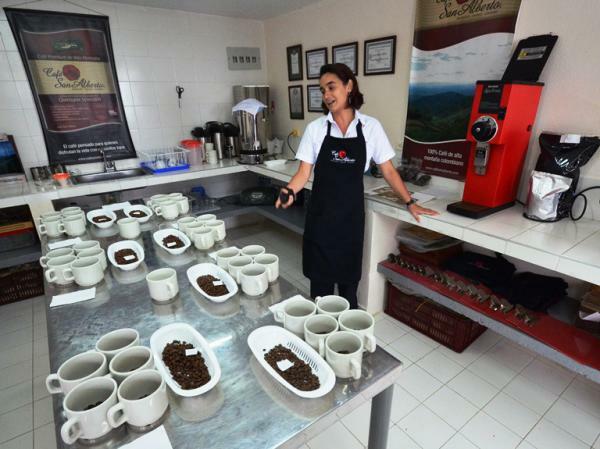 This area produces coffee, cacao, bananas, citrus fruits and sugar cane. Arrive in Tamesis, a small colonial town with great views of the Farrallones peak. 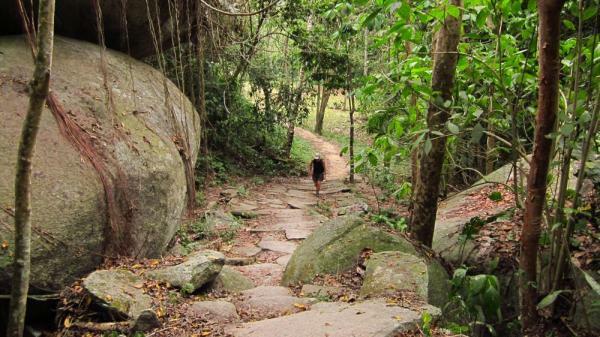 Once inhabited by the Chami-Embera Indians, the region is home to hundreds of petroglyphs; today’s hike takes you on a stone trail built by this ancient culture. The landscape in this mountainous area is filled with caves, underground rivers and waterfalls. 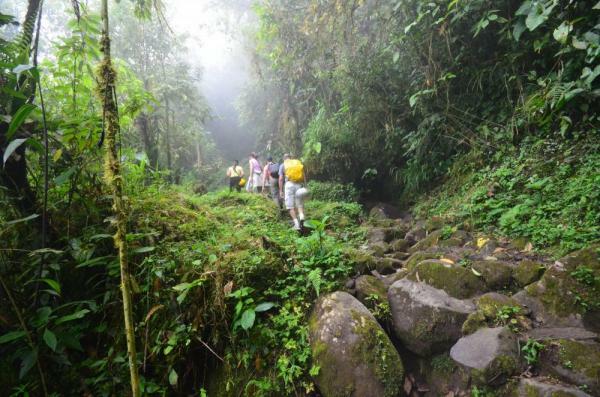 As you climb the stone trail, explore the flora of the cloud forest: Lichen, ferns, bromeliads and orchids. Based on your fitness level, visit an underground riverbed. Or hike to the Cristo Rey (King Christ) monument that is perched high on the mountain – this hike is a recognized by many as spiritual pilgrimage. 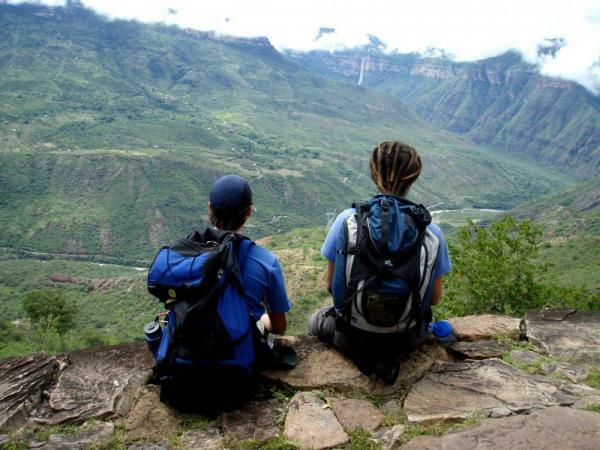 In the evening, settle in at your hotel and enjoy views of Cauca River gorge. 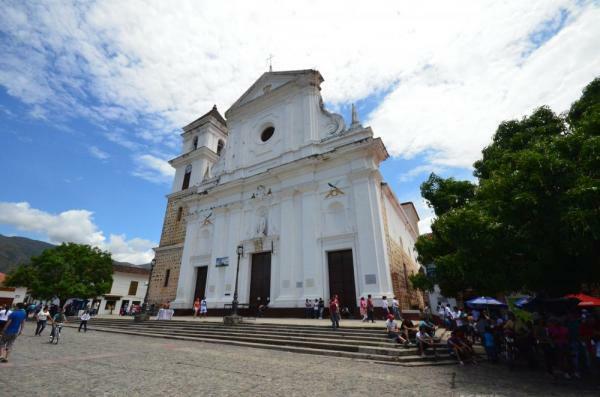 Founded in 1541, Colombia’s Santa Fe de Antioquia is a beautiful example of a traditional colonial town. Dotted with squares, streets, plazas and churches, learn about the local history as you spend a leisurely morning in this historic town. After lunch, continue to nearby Serrania de Las Baldias. This high altitude cloud forest reserve remains a best-kept secret in the region. 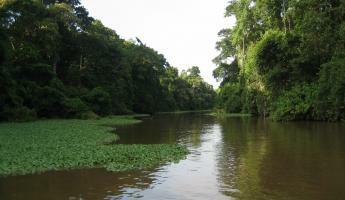 Thousands of rare orchids and bromeliads are found throughout. Explore the reserve on foot. Your 4 mile (7km) begins at 3,150 m (10,335 ft.) and descends to 2,500 m, offering views of both the Central and Occidental mountain ranges. Finish the day in the city of Medellin. Overnight in Medellin's “zona rosa” neighborhood to enjoy local galleries, restaurants and some of Colombia’s exciting nightlife. Surrounded by mountains, the locals call Medellin the “City of Eternal Spring” due to its pleasant year round temperatures. Your tour of this bustling city begins with a visit to Plaza Botero, a space designed to honor Colombia’s famous artist of the same name. Continue to the Antioquia Museum and the botanical gardens, which act as a wildlife refuge and research center. From the gardens, you’ll ride up on a cable car to ARVI, the city’s most important park and nature reserve. Enjoy panoramic views of the city. 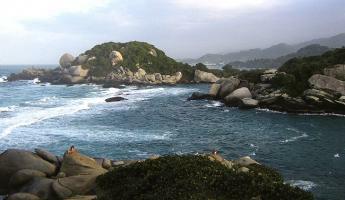 From here, visit the Silleteros or saddle men who live in the Santa Elena community. The Silleteros were porters from the colonial era that used to carry goods and even people. Today this community is especially recognized for their elaborate floral arrangement prepared for the annual flower festival -- Feria de Flores. In the late afternoon, return to your hotel for a farewell dinner in Medellin.